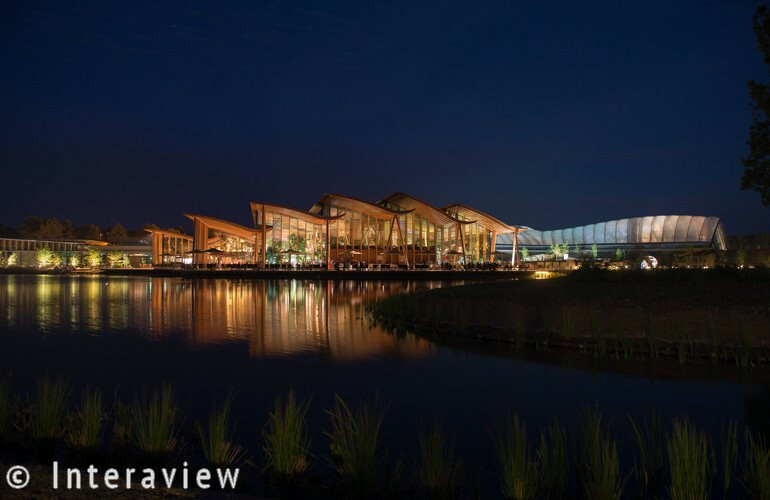 In Vienne, France a new Center Parcs resort has been build. The beautiful forested surrounding, which is home to many animals, offers the perfect place for this family resort. The park is developed with nature in mind and represents a shared sanctuary of men and animals. The architecture of the buildings blends into the green environment with the use of natural materials, such as wood. 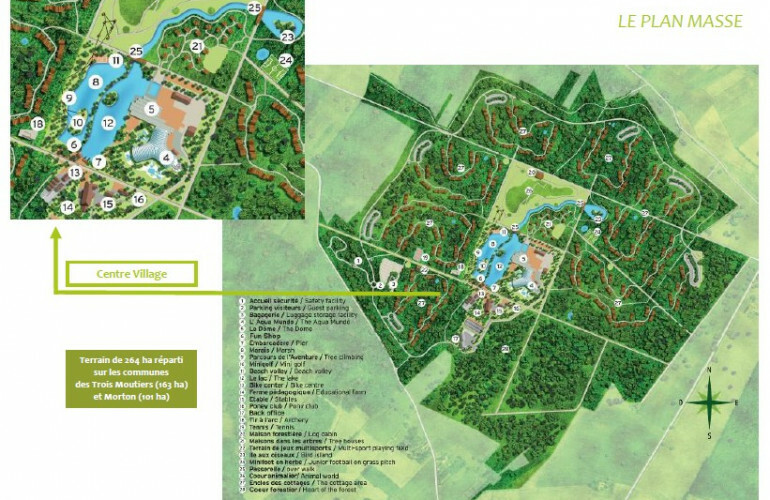 The resort of 260 hectares has 800 cottages. The cottages are spacious and light with large windows and have an average size between 55 and 90 square meters (up to 177 square meters for cottages for 12 persons). The accommodations have a high standard equal to a 4 star hotel. The central facilities naturally include an Aqua Mundo water park, restaurants, shops and playgrounds. But furthermore Center Parcs Le Bois aux Daims also has a bowling, 680 square meters of meeting space and a 1.300 square meters Spa. The resort also offers various outdoor activities. 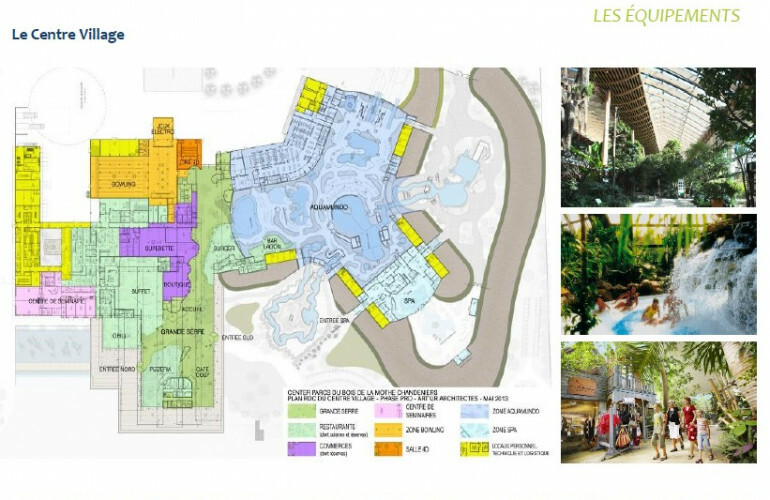 M2Leisure was actively involved as assistant project manager (AMO Assistance de Maîtrise d’Ouvrage) in guiding and managing the development, construction and delivery of the park in time. M2L had a special focus on leisure, catering, tropical planting, and signing. 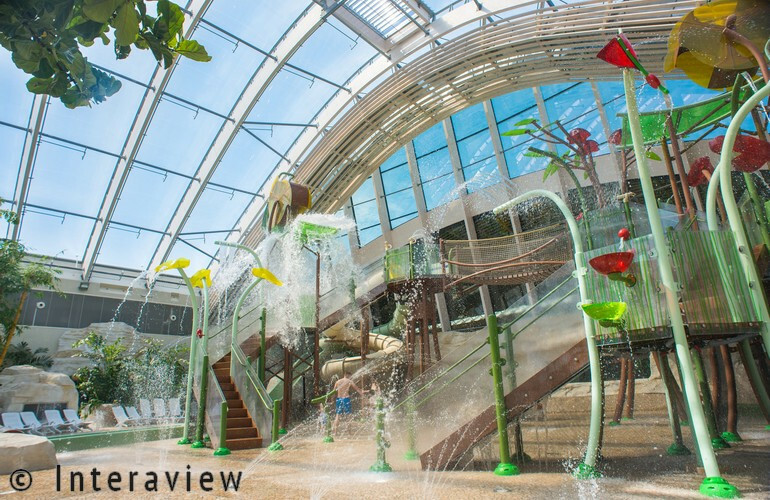 We were leading in the installation of the outside playgrounds, waterpark slide package and water attractions, tropical planting, installation and start up of central kitchens and all catering outlets, signing in and around the central facilities. Our project manager was part of the development and construction management team and on site between October 2014 up until July 2015. Role M2Leisure: In this project we worked as the assistant project manager for the central facilities. Managing the time and budget planning was our main role. In Vienne, France a new Center Parcs resort has been build. In this project we worked as the assistant project manager for the central facilities. Managing the time and budget planning was our main role.